A new women-only single-seater racing series has been launched with the intention of finding the next top female racing drivers and guiding them on the path to Formula One. It has the backing of ex driver turned entrepreneur David Coulthard and engineer Adrian Newey, but is has sparked debate about whether women-only is the right approach given that motor racing is one of the few sports where women can compete with men on equal terms. The aim of the W Series is to help female racing drivers showcase their abilities and help fund their next step on the ladder to Formula One, with the championship winner receiving £500,000, and a remaining £1,000,000 spread over the remaining championship positions. Consisting of eighteen competitors, they will not have to provide sponsorship, but they will be permitted to enter through a selection process before a panel of judges. On the judging panel will be Coulthard, former F1 team manager Dave Ryan - who is the series' racing director - and Newey, who is an advisory board member. 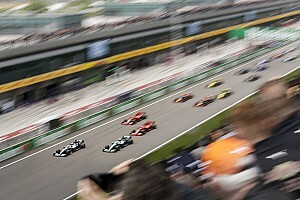 The six-round championship aims to get underway in May 2019 and will consist of 30-minute races based in Europe, with the aim of expanding internationally in the future. 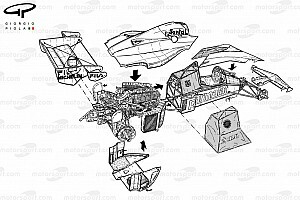 They will be competing with Tatuus Formula Three specification cars. The last female Formula One competitor: Giovanna Amati driving for Brabham during qualifying for the 1992 Mexican Grand Prix. Chief Executive of the W Series, Catherine Bond Muir, said on BBC Radio Four's Today Programme that female drivers typically don't have the funding to go beyond Formula Three and that the new series will help fund their next steps. "We're doing something that hasn't been done before. There's a severe gender imbalance in motor sport and that's a problem, as women and men are capable of racing together on equal terms. "We're tackling this head on because we're going to immediately increase the numbers of women who are racing in single seaters and give drivers more experience to help them go forward into more senior racing series and we're looking for champions of the future. "I think there's a structural problem involved in motor sport. Women haven't been given the opportunity because they haven't been able to raise the money to go forward into higher series. There's a glass ceiling at Formula Three and W Series is setting it's stall out at the Formula Three level and we're going to train our drivers to propel them into Formula Two and hopefully into Formula One." The most successful female Formula One driver was Lella Lombardi, who scored half a point in the shortened, rain-affected Spanish Grand Prix of 1975, whilst Giovanna Amati was the last to compete in a Grand Prix weekend, for Brabham in 1992. 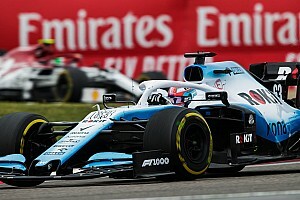 More recently, Susie Wolff was the last female racer to take part in a Grand Prix weekend, last driving for Williams during free practice for the 2015 British Grand Prix. What does the motorsport world think? The idea of having a women-only racing series is not a new one. Former commercial rights holder Bernie Ecclestone was widely-criticised for the plan he was developing with Carnen Jorda a couple of years ago. The news today has also divided opinion amongst motor racing's insiders. Some have praised the idea of helping female racing drivers get valuable track time, showcase their abilities and provide funding for them to take the next steps, but others believe that the only way for women to break through is in competition with males. GP3 competitor Tatiana Calderon, who joined Sauber as development driver.